A regular on BBC comedy panel show Mock The Week will be delivering the city&apos;s annual &apos;happiness lecture&apos; today. 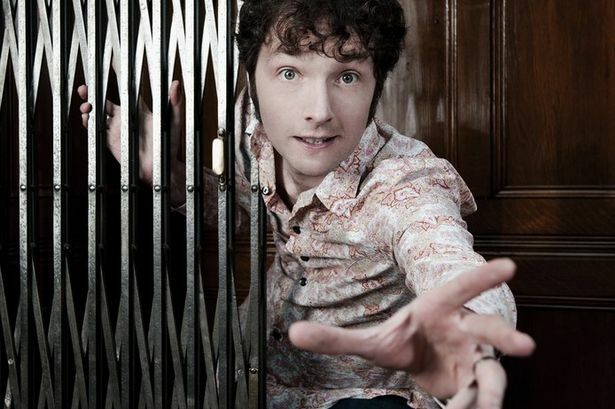 Stand-up comic Chris Addison is appearing at the University of Birmingham to give the 2014 Baggs Memorial Lecture on the subject of happiness. Also a writer, director and actor, famous for his role in The Thick of It, Mr Addison studied English literature at the University of Birmingham with the intention of becoming a theatre director before taking a new direction by moving into comedy. Previous speakers who have delivered the Baggs Memorial Lecture include David Attenborough and Robert Winston. The lecture began in 1976 and is named after Thomas Baggs, an alumnus of the University of Birmingham who went on to become a teacher, journalist and a war correspondent for the Daily Mail before pursuing a successful career in advertising and publicity for the American car industry. When he died in 1973, Birmingham-born Mr Thomas bequeathed a substantial sum to the university to stage an annual public lecture on the theme of &apos;Happiness - What it is and how it may be achieved by individuals as well as nations&apos;.